Vivo, along with its sister company OPPO, has traditionally done well in the offline smartphone retail space. The company chooses to spend more on marketing, sponsorships, and dealer margins, and the net result of this spending is that its phones haven’t generally been competitive with the likes of Xiaomi and Honor. The Vivo V9 is a good example here. It was the first phone to launch in India with a display notch back in March, but the budget Qualcomm Snapdragon 626 SoC made it uncompetitive even against the OPPO F7, and it was priced higher than it should have been. However, Vivo has been improving since then. Its newer phones are a marked improvement in terms of specifications. The company has adopted the waterdrop notch with the Vivo X23, Vivo V11 Pro and the Vivo V11. It even released the world’s first phone with a popup camera in the form of the Vivo NEX. 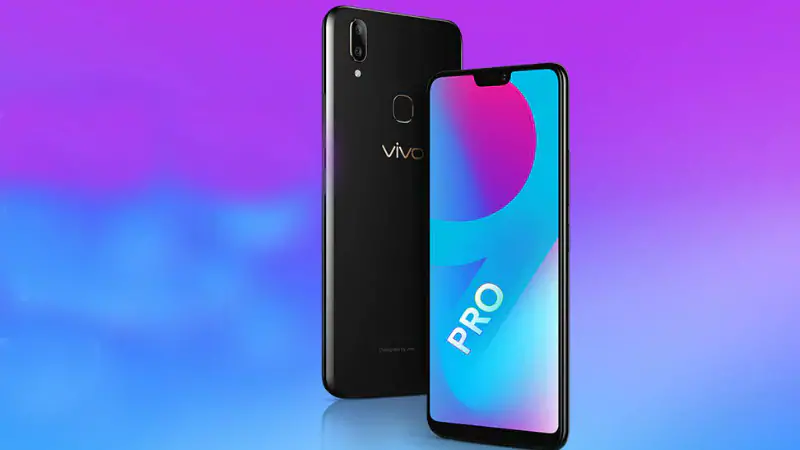 Only a day after launching the Vivo V11, the company is now back with another smartphone launch in India: the Vivo V9 Pro. Unlike the Vivo V11 series and the Vivo X23, the Vivo V9 Pro does not have a waterdrop notch. This is because in terms of design, it’s the same phone as the older Vivo V9, as only the internals have been changed. This also means that it has a conventional back-mounted fingerprint sensor instead of having an in-display fingerprint sensor. The rear and front camera configuration is also weaker than the newer Vivo V11 series. On the other hand, the Vivo V9 Pro’s Snapdragon 660 SoC is faster than the MediaTek Helio P60 SoC of the Vivo V11, particularly in terms of GPU performance. This results in an odd situation where the Vivo V9 Pro and the Vivo V11 compete with each other in terms of specifications. The V9 Pro will be the faster phone, while the V11 has a newer design, smaller notch, better cameras, and a slightly bigger battery. It should be noted that Vivo had launched another variant of the Vivo V9 in India, named the Vivo V9 Youth. It was launched in April with slightly downgraded specifications, whereas the V9 Pro has upgraded specifications. The Vivo V9 Pro will be exclusively available via Amazon India. It costs ₹17,990 ($248), which means that it competes with the likes of the Xiaomi Mi A2, the upcoming Realme 2 Pro, the Nokia 7 Plus, and many more phones in India’s crowded mid-range smartphone market. Idrees Patel is a smartphone enthusiast from India. He has been an Android user since the time he got the LG Optimus One in 2011. He has a bachelor's degree in Management Studies. The subjects in which he is interested are mobile processors, real-world UI performance, in-depth camera quality analysis, and many more. Contact: [email protected]da-developers.com.